Bike thefts have been on a slow decline since 2012. But it’s a crime that still causes thousands of cyclists heartache every year. According to the Office for National Statistics, two in 100 bicycle-owning households have had a bike stolen in the last 12 months. The fact that this is an improvement on the six in 10 households’ figure of 1995 is little consolation for a portion of the 274,000 victims who may have to come to terms with the fact that they may not get their bike back, and depending on their insurance policy, may not even be covered for it. 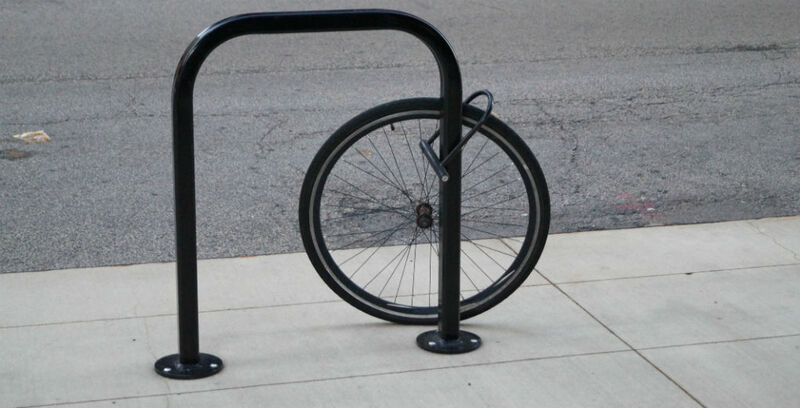 If you have had your bike stolen, either from your shed or from a public place, you should resign yourself to a life without your wheels just yet, as there are ways you can increase the chances of its safe return. Of the 274,000 people who had their bikes stolen in 2017 according the Crime Survey for England and Wales, only 102,581 were reported to the police. Figures from a research commission by The Bike Register show that half of those who reported a stolen bike to the police felt it wasn’t investigated. The police should be the first phone call you make when you know you have had your bike stolen. Call the non-emergency 101 number and give as much information as possible, including details of the bike, where it was taken from, and whether it was marked. If your bike is marked they will be able to check a dedicated database, and provide you with a crime reference number to take to your insurance company. The value of bikes can be as such that they’re either covered as a separate item on your home insurance or they need dedicated cover. In both cases, there is still the chance that your claim will be turned down. You should check the wording on your home insurance policy to see what’s covered in your shed, if anything, and whether bike insurance is valid only when using a specific type of lock or method for securing it in a public place. Even if you don’t think you have a case for a claim, call your insurer to check. If you believe they’re wrong in turning down a claim, you can speak to your broker, if you have one, or contact the financial ombudsman. Ask shops to put up posters of your bike including a picture, and spread the word on social media. The survey commissioned by BikeRegister showed that out of the 10% of people who managed to retrieve their bike, 29% of them of them used social media to do so. There are several websites that offer dedicated support in reuniting you with your bike. BikeRegister is a database used by cyclists and the police to search for and recover stolen bikes. They can also mark your bike and offer a security kit with a warning label which can act as a deterrent. Stolen Bikes is another database, which puts alerts out through their social media to publicise the theft of your bike. Through its sister site, Find That Bike, you can also sign up to alerts of bikes matching your description which are up for sale on eBay or Gumtree.